Captain of the SAL’s. Cheryl is involved in the management of the Confederation of all angling disciplines at a national level in South Africa. This will be her 4th Commonwealth Fly fishing Championships. I started fishing competitively a long time ago, when I could still see the small flies without wearing glasses! I love the sport and the outdoors and can’t wait to see all the fishing friends from the past Commonwealth Competitions. I will be fishing my 4th CWFFC. Every Commonwealth is so challenging with each country’s different style of fishing! My love for fly fishing started as a little girl who just wanted to make this my own! I am currently working as a Private Chef at a company called Q4 Fuel. This will be my third Commonwealth Competition and as before, I can’t wait to reunite with the precious friends made over the last 6 years. Blom (as we know her) is still the current SA Ladies top angler. 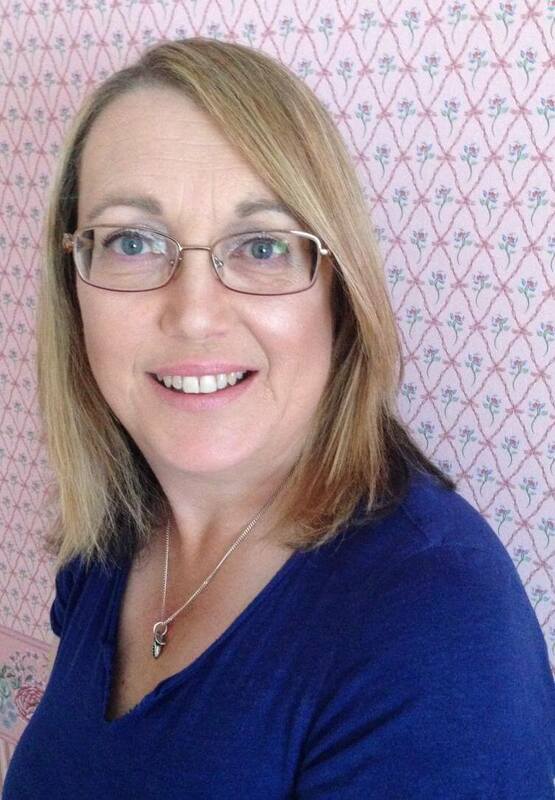 Alison works as an HR manager at a mining company. She is married and has two adult children. Alison and husband Patrick have been fly fishing together for about 10 years and have been part of the competitive scene for the past 6 years. This is her first Commonwealth Championship. Franciska Pile. 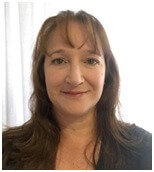 Frans works as a PA in the financial world. She has two adult children and has been fishing since she was a child. She has been competitive fishing for the past 8 years and won the SA Ladies Nationals last year. This is her second Commonwealth Championships. 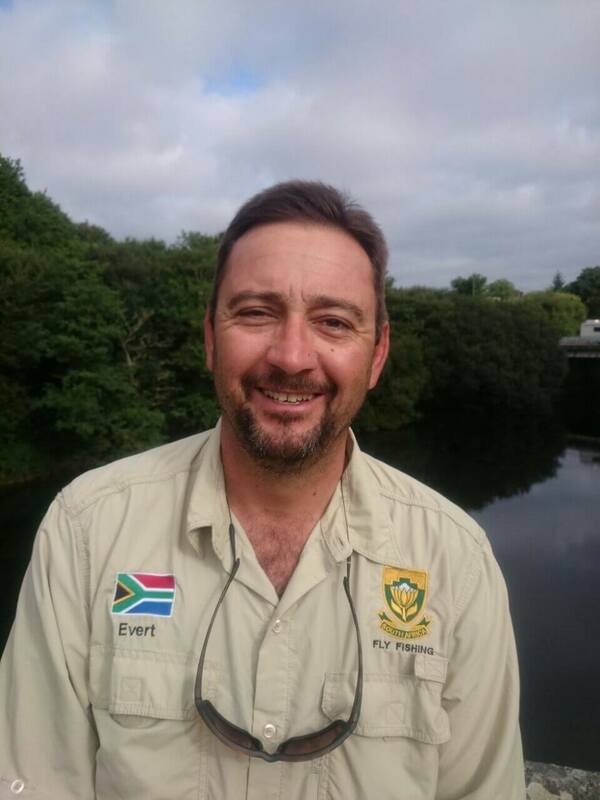 Evert lives in Johannesburg, South Africa and has a great love for the outdoors. 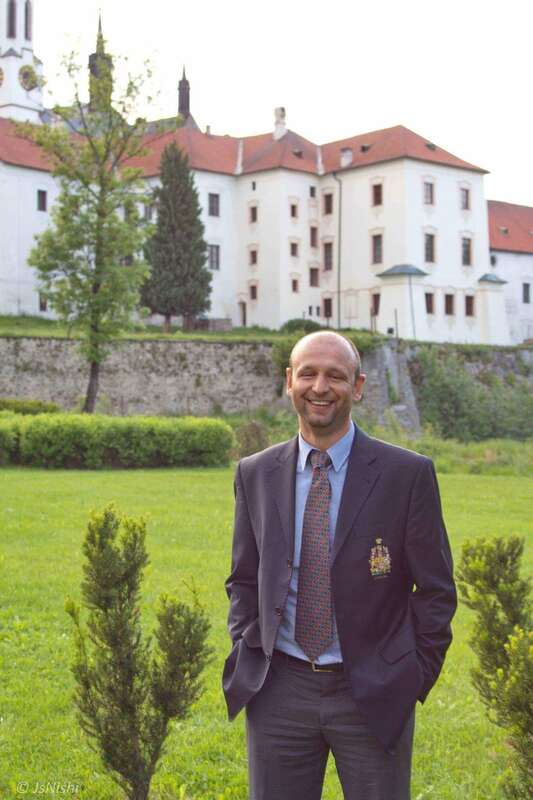 Evert represented South Africa in Bosnia 2015. Richard resides in Pretoria, South Africa, after having grown up near the Kruger National Park. 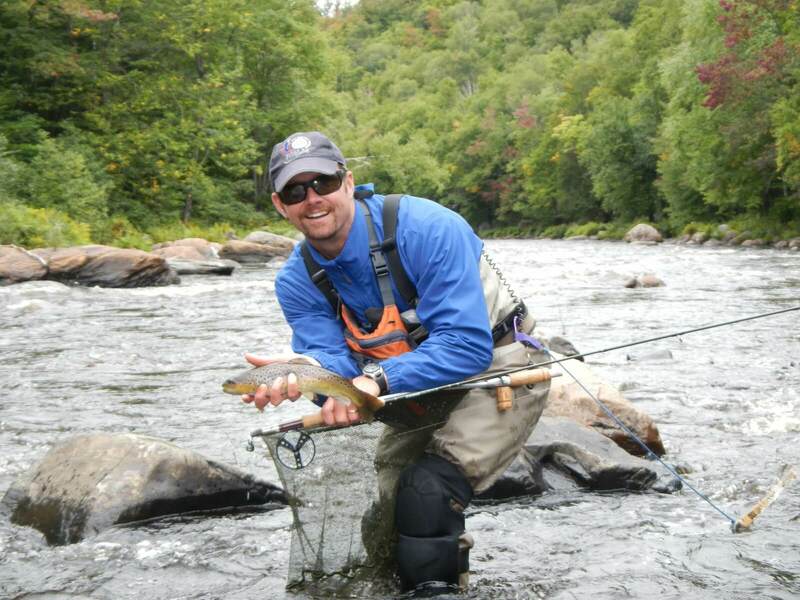 With his love for the outdoors and fly fishing he has managed to attain a National ranking of 5th place. Richard has 6 years of competitive angling behind him and cannot wait to fish Mont Tremblant. Jason was born in the Rhodesian Midlands and armed with rod and reel from a young age. He loved fishing the wild untamed Sebakwe river for yellow belly bream and has recently progressed from there into competitive fishing and loves it. He cannot wait to compete in Mont Tremblant. Craig started fly fishing at a very young age. 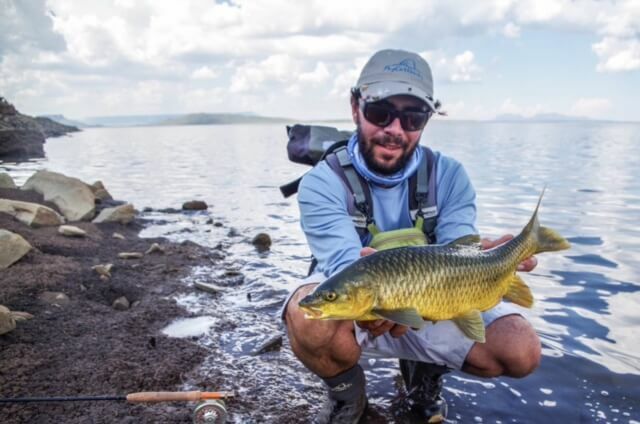 He started fishing competitively in 2008 and was a member of the South African Youth Fly Fishing team from 2012-2013. He also fished for the South African Men’s team in 2015. 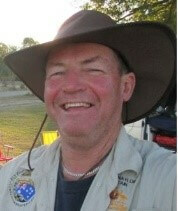 He is currently a Head Guide for Flycastaway and guides on St Brandons Atoll, Mauritius. Ruben is 26 years old and has been fly fishing for the past 15 years. This is his first Commonwealth Competition and he looks forward to the challenge. He is a full time guide for Flycastaway, based at St Brandons Atoll, Mauritius. Ruben has been competition fly fishing for 8 years. Passionate about fly fishing and encouraging other ladies to try the sport. After attending my first commonwealth in 2014 I decided the opportunity to come and fish again, but in Canada was a trip not to be missed. Its been a very exciting year for me, being England Ladies International team Captain and gaining my 8th England cap and Commonwealth in the same year has been a great honour. I am very proud to be representing England again and bringing two new ladies to the event. My introduction to fly fishing happened purely by accident, after seeing a ladies casting demonstration at a local country show, ever since then It has now taken over my life. I live in Hampshire on the south coast,were I am a full time Bid Manage working for the UK Air Traffic Control Company, NATS. I qualified as coach in 2015 and get great pleasure from helping and encourage newcomers of all ages to fly fishing. I am really looking forward to fishing in this my first Commonwealth Championships and meeting and making lots of new friends. I started fly fishing in 2013 and first competed for England at the Ladies International in 2015 where we won Bronze. I regularly fish on the River Dee and the resevoirs. 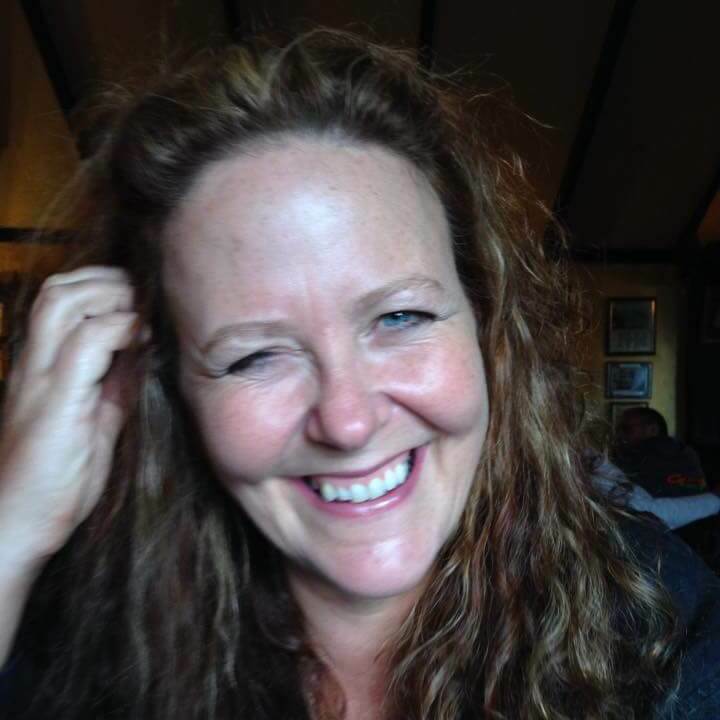 I work for myself as a business process consultant which gives me the freedom to travel and enjoy fishing around the world. This is my first trip to Canada. My name is David Grove and I am the captain of the English Commonwealth team. I have taken part in every commonwealth fly fishing event except for two since it began, gaining individual gold as well as many team gold silver and bronze places. 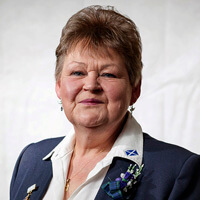 I’ve had a long competition career winning European, National River and Loch Style championships. This event is dear to my heart, it has taken competition fly fishing to its rightful place, at the same time keeping fun and fishing and friendship at the forefront. I really look forward to meeting with old and new friends this year in Canada and to taking part it another fantastic event with a great English team. I first started fishing when I was 6 on Exeter Canal for perch and bream , drowning maggots etc. moved to Lympstone near Exmouth on the river Exe, joined Exmouth Sea Angling association and went beach fishing and Deep Sea, where Iwasto frequently ground bait for the other anglers, so that put an end to deep-sea fishing. I was introduce to the ART of Fly-fishing when I was about 20 and join the local Fly-fishing club in our area called KENNICK FLYFISHING ASSCATION(KFFA) and learnt the trade of fishing and fly-tying. After entering lots of completions through KFFA and making it through to our England National on many times, I made the ENLAND TEAM on two occasions, 2000, and 2003 where I was lucky to of been awarded TEAM GOLD both times. In 2014 I was asked to be Reserve in the ENGLAND TEAM to fish the Commonwealth Fly-fishing Championships (at short notice) being held in DEVON and CORNWALL, England. where The TEAM were lucky to get SILVER, and now I have been selected to go to CANADA to fish again and hopefully go one better and get GOLD. 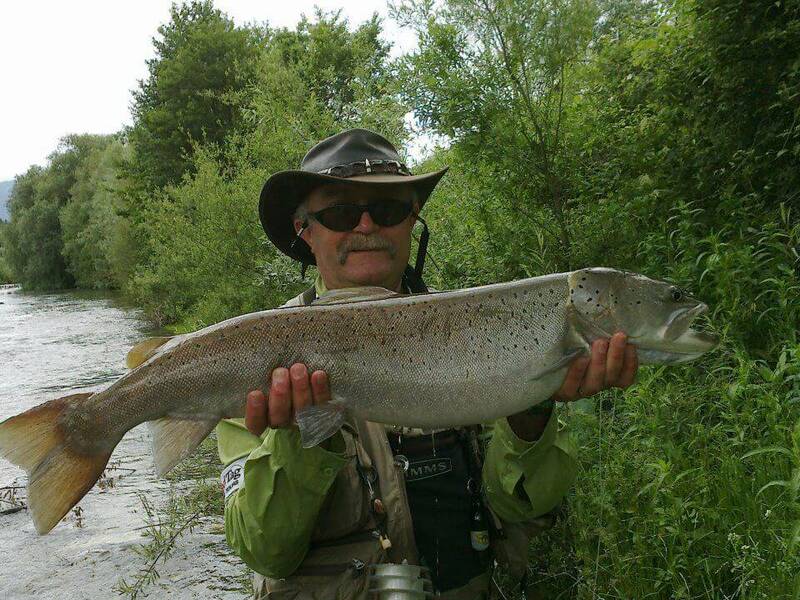 Andrew Gooding – started fly fishing at the age of eight and represented England at the Youth World Fly Casting Championships winning gold in numerous events. He has since fly fished for England many times and represented England in the European Championships. This will be his third Commonwealth competition having competed in Tasmania and England. I live in the town of Matlock, in the Peak District, Derbyshire , where I work as a Fly Fishing Guide, on rivers and lakes. Also own, Press Manor Fishing Lakes, a 3 lake day- ticket fishing business, consisting of Trout, Carp and Coarse fishing. Also am qualified as an AAPGAI and FFF qualified fishing Instructor, and has represented England in the last 6 Commonwealth Championships. Really looking forward to competing, but equally important, so lucky to be catching up with some great friends from all over the globe. 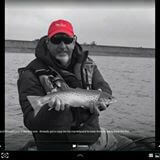 I’m a professional fly fishing guide and instructor based in the North West of England. I’m married with two children, two grandsons and a border terrier. Canada will be my 3rd Commonwealth Fly Fishing Championships, and I’ve managed two silver team medals and an individual bronze in the previous two. I’ve also represented England in various home internationals, European and World Championship events. Very much looking forward to meeting up with some old friends and making new ones too. Bring it on! Married with two daughters and been an avid fly fisher for too long to mention!. I’m now semi-retired and work as a part time Local Council Clerk and established my own Fly Fishing Guiding & Tuition business The Durham Fly Fishing Company in 2010 so I now spend even more time near water!!. I first qualified for Team England in 1999 and was a member of the Silver Medal England Commonwealth Teams in 2010 (Wales), 2012 (Tasmania), 2014 (England). I’m looking forward to catching up with old fishing friends and making many new ones in Canada for the 2016 Commonwealth Fly Fishing Championships. 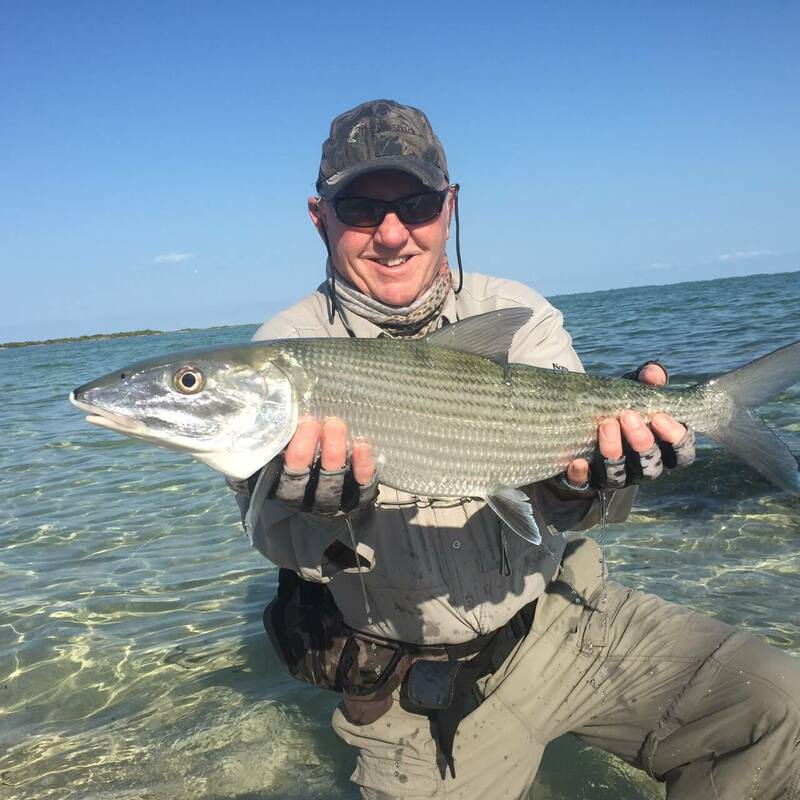 Background: Australian representative at previous Oceania and World Championships, National President of Fly Fish Australia Inc.
Donald is a Director of Fly Fishing Canada and one of the old guard. Having first been on the World Team in Kamloops in 1993, he has 13 caps for Canada, including 3 as Captain and coach of the Youth Team. He has 3 international Top 10 finishes, including Vice World Champion in Scotland in 2009. When not fly fishing, you can find Donald following his English Setters after upland birds somewhere in North America or on his farm in Cantley, Quebec. As early as I can remember my family and I would make the annual summer vacation trek down home to West Arichat, a village on Isle Madame off the coast of Cape Breton. This is the village were my father was born and until just recently, the homestead was still in the family. Commercial fishing was the only real commerce of the time, and the inshore fisherman and their smaller boats could still make a decent living. So for those three weeks of summer vacation, I would jump at every opportunity to go out at daybreak on one of these boats. Now this did not happen every day, as that meant my dad would be getting up at five and during his vacation there was bound to be more than the occasional kitchen party complete with fiddles and rum. Yet true to his promise, he would wake me to a breakfast of fresh cut, home made bread and jam. My earliest fishing memories were onboard the boat of our nearest neighbour, Paul Paun. He was easily in his seventies, and when the weather allowed, fished in his old wooden Cape Islander. A last of its kind, his boat was completely open and driven by a single cylinder gas engine which was referred to as a puka puka because of the distinctive sound it made as it chugged along. The boat was moored in a little cove within sight of our homestead. A dory pulled up on shore, no doubt feeling its age too, would creak and moan as we rowed out to the fishing boat. So off we would go at first light, salt spray freshening our faces. Out beyond visible land jigging for cod, haddock and mackerel. Whales and seals occasionally, gulls and terns constantly. 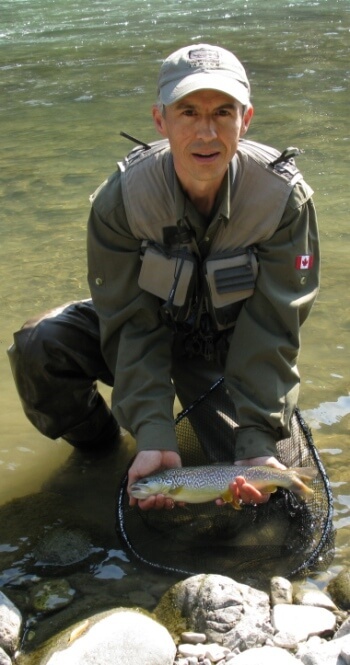 Colin Huff began fly fishing at a very young age as his father was a seasoned fly fishing guide and Team Canada member. 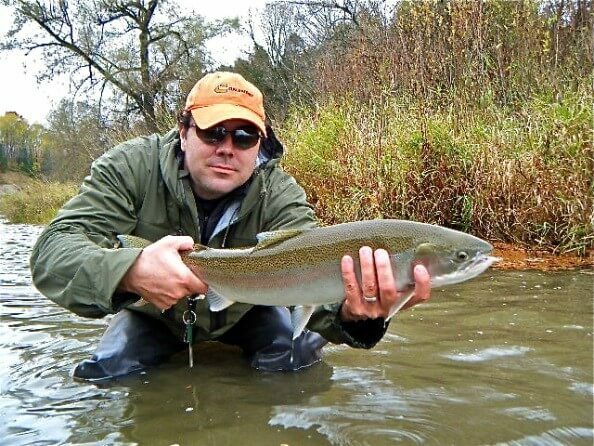 Colin began his competitive fly fishing career at age 13 where his team captured the silver medal at the national level. 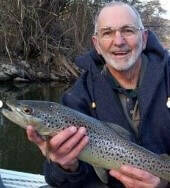 A large part of Colin’s growth and experience as an angler is credited to guys like Donald Thom, John Beaven, Randy Taylor and father, John Huff. Colin Huff is now 21 years old and will be representing Canada at both the CWFFC and WFFC in 2016. 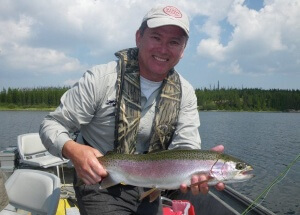 Todd Oishi has fished the rivers and stillwaters of seven Canadian provinces and fourteen countries for trout, salmon, char, whitefish, grayling, pike, and several other species of fresh and saltwater fish. 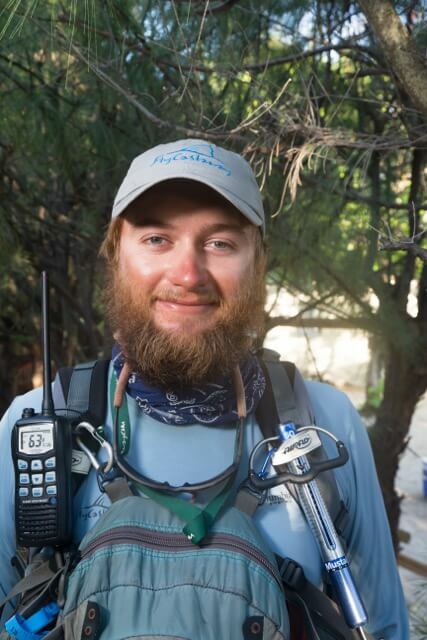 He has had the honour of being selected to serve as a captain and member of Team Canada at 7 Worlds, 3 Commonwealths, and 3 American fly fishing championships. 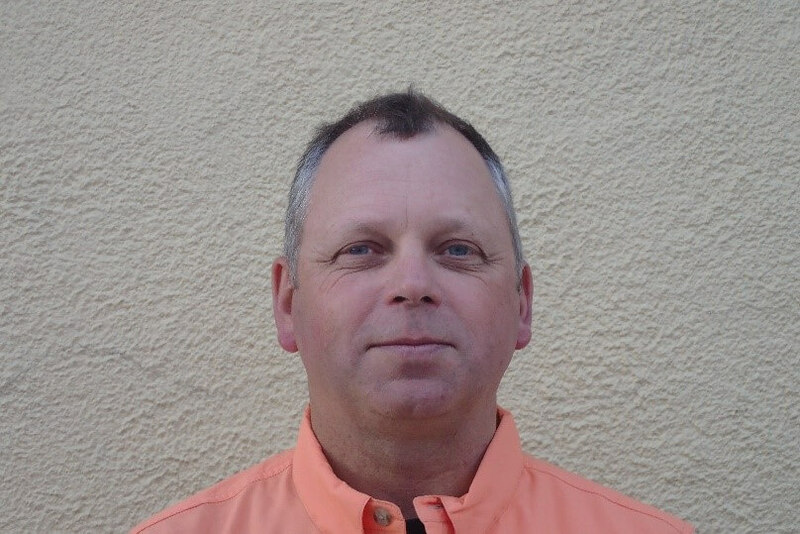 He currently serves as the head coach of the western division of Canada’s national youth fly fishing team. 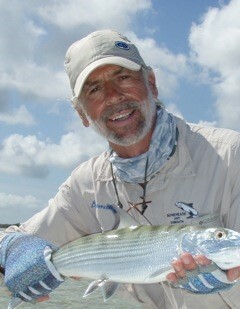 Keefer has been a competitive angler & guide since 2008. 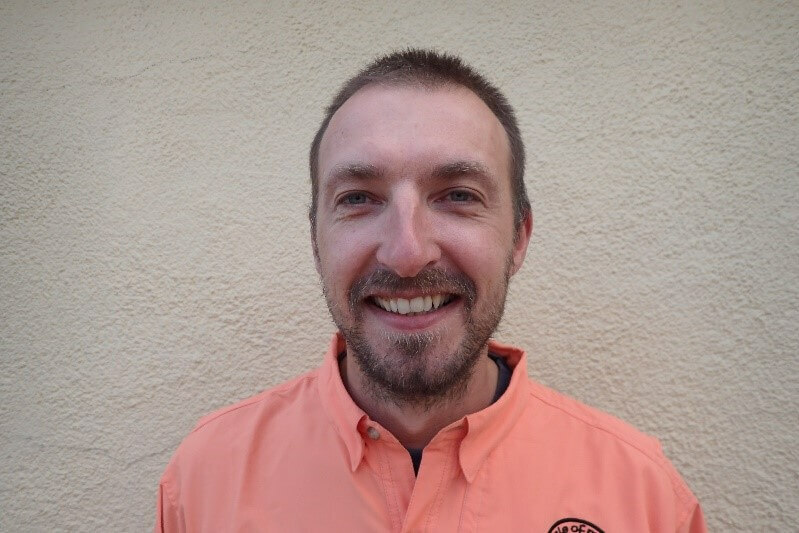 A founding member of Team DredgeHogs and Team Manager, Keefer has competed at regional, national and international events across North America and Europe. Keefer has spent countless hours with some of the top anglers in the world refining his skills. Having been mentored by the late Ian Colin James, starting in 2004, followed by the likes of Jiri Klima, Karel Krivanec and other top Czech Anglers in 2009. Keefer has been selected twice to represent Canada on the National Team. 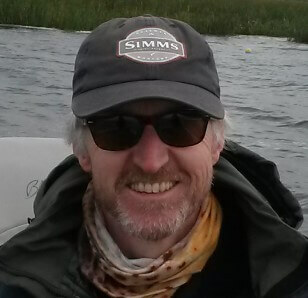 In 2014, Keefer was selected as a member of Team Canada to attend the 2014 Commonwealth Fly Fishing Championships in South West England. In 2016, Keefer was selected to compete for Canada at the upcoming Commonwealth Fly Fishing Championships to be held in Mt. Tremblant, QC. 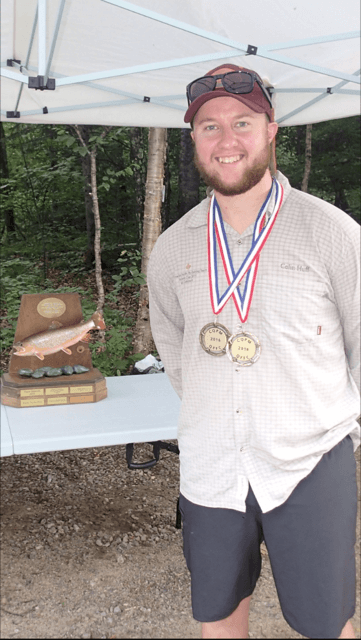 5th place Individual – The Devils Challenge – Diable River, Mt. Tremblant, Qc. I’m excited be attend my second international cap as a member of Team Canada, having represented Canada at the previous Commonwealth Championships in England. 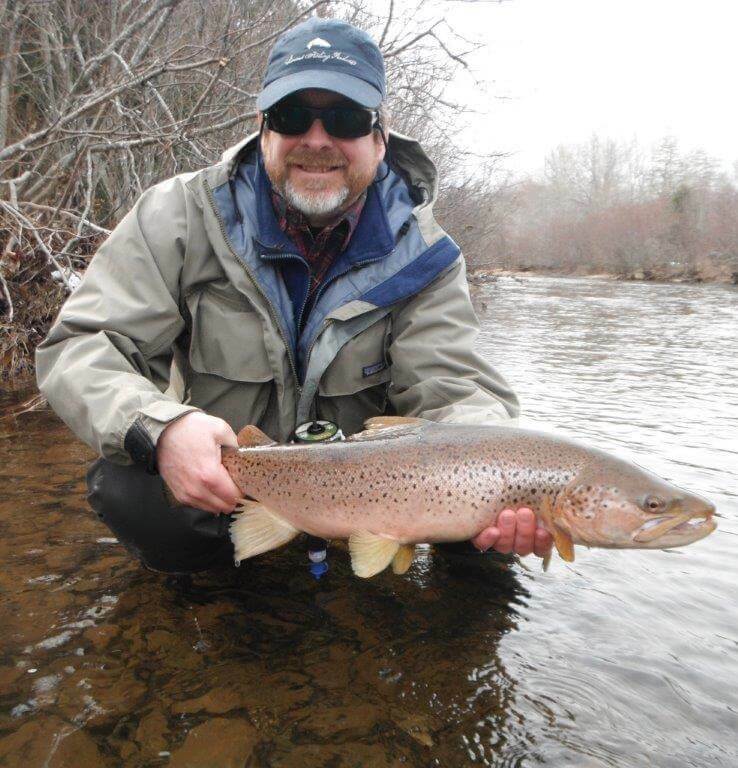 While my day job is banking, I’m an FFF certified casting instructor and have run a Fly fishing guiding business for over 10 years. I’m also pro-staff at a private stillwater club. I’ve been an active competitor at the National and Provincial level since 2006, and coached the first all women team to compete in a Canadian Championship. I have lived in ‘Beautiful British Columbia’ all my life and although I have fly fished on many of its lakes, rivers, streams and beaches for a good number of years, it wasn’t until 2005 that I was introduced to competition fly fishing at the Canadian Nationals at Campbell River BC. Since then, with my wife Leslie’s encouragement and support, I have participated in every Nationals to date, with a team Gold and Silver to my credit. I have also represented Canada at the Commonwealths – 2010 in Wales, 2012 in Tasmania, and 2014 in the UK, and am very much looking forward to welcoming you all to Mont Tremblant for what I hope will be a great fishing and competition experience. Leslie and I are very much looking forward to renewing old acquaintances and making new ones here in Canada in September. I am a software quality engineer for a major bank (that’s where the money are…right?!). I have been fishing for over 40 years and fly-fishing for more than 27. Over the years I have fished for perch, pike, walleye, carp, bass, rainbow trout, brook/speckled trout, brown trout, marble trout, whitefish, European grayling, bonefish and tarpon. I have learned most of what I know in fly-fishing during competitions. I have won several team and individual National level medals. I am looking forward to making new friends at the 2016 Commonwealth Fly-fishing Championship! 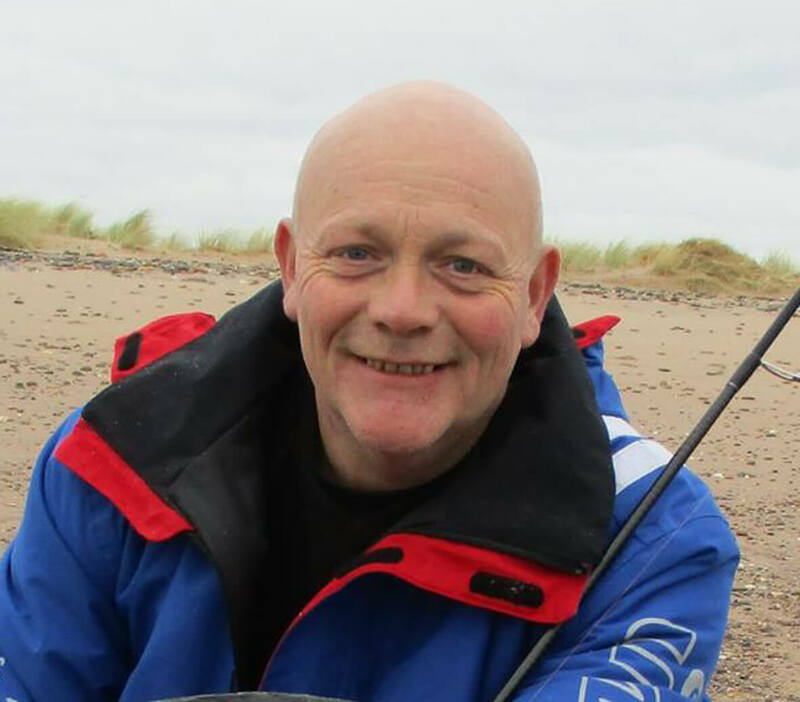 Clint is dedicated to providing all of his clients with the best possible service, knowledge, standards, and safety available from a Professional Angling Guide. Clint holds a degree in biology from Dalhousie University in Halifax, Nova Scotia and has additional training in Fish and Wildlife Technology from Sir Sandford Fleming College in Lindsay, Ontario. 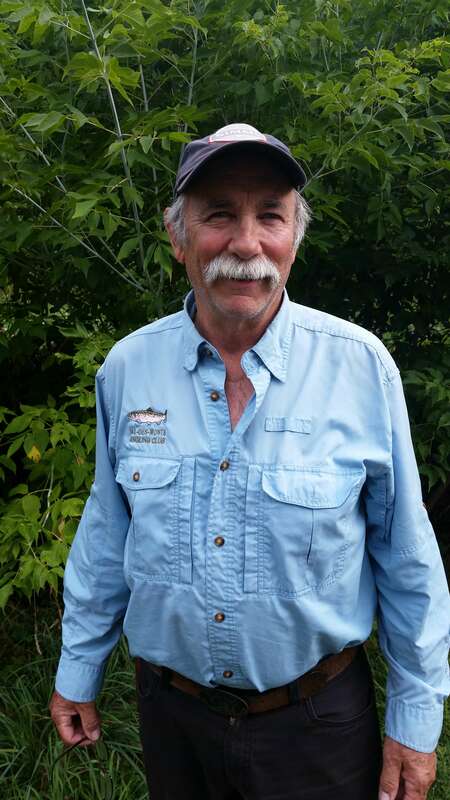 He is a Certified Fly Casting Instructor through the Federation of Fly Fishers and in addition to CPR, his first aid training consists of Outdoor Emergency Care, Wilderness First Responder, and Swiftwater Rescue. His boat handling skills and safety have been approved by Transport Canada. These credentials have earned him the recognition as a Professional Angling Guide by the Canadian Human Tourism Resource Commission (CHTRC). When he is not guiding he offers his time to several volunteer organizations including Squamish Search and Rescue and Fisheries Stewardship Groups in both Squamish and Whistler. He lives in Squamish with his wife, three children and numerous pets. 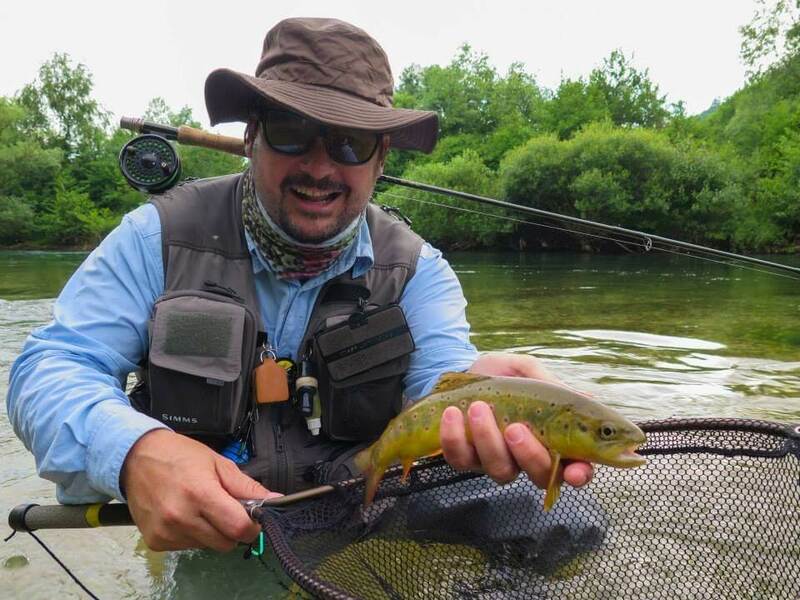 Twelve years ago, Jean-François Lavallée had never touched a fly fishing rod. Today fly fishing is his passion. In 2008 he discovered the competitive side of the sport and in 2014, as part of Team EnDiablés, became Canadian champion both individually and as a team. Today, he is excited to be part of the Commonwealth experience and is looking forward to sharing and learning from competitors all around the world. 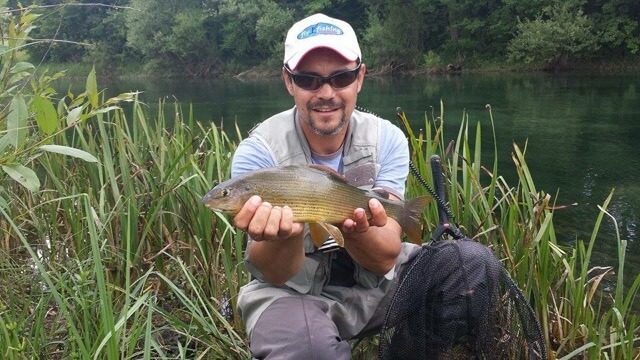 My name is Ciprian Rafan I was born in 1978, my fishing experience started in Romania. I moved to Canada in 2004 and my first contact with competition was in 2014 at the Québec provincial championships which was a big success, gold individual medal. Later in the same year I got a bronze team medal at the Canadian national championship. In 2015 I represented Canada at the WFFC in Bosnia placed 39th, then gold team medal at the Canadian National Championships, silver medal individual and team at Québec provincial championships. In 2016 I was selected for the Canadian National Team for the CFFC, won the silver medal at Lyndon Ontario and gold team medal at the Cast and Blast comp at Kenauk, Québec. I was introduced to fishing as a child by my grandfather. Since then, I have been hooked on fly fishing for trout and salmon. 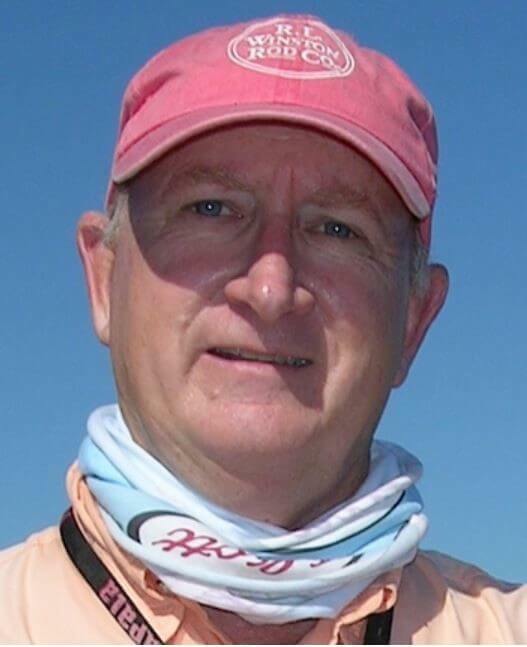 In addition to fishing, I have been active on the boards and executive of several non-profit sport fishing groups. I will be representing Canada for the second time at this competition. I am looking forward to the opportunity to fish with and learn from competitors from around the Commonwealth. 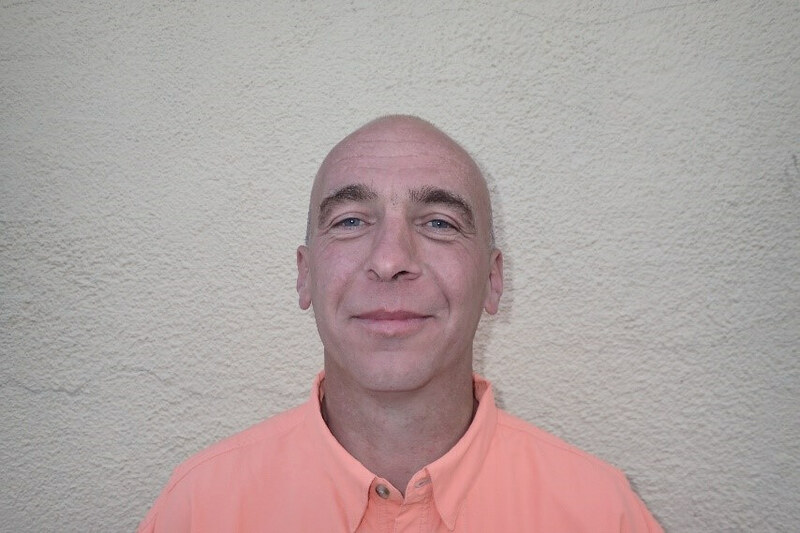 Jim Iredale is a building contractor and designer. 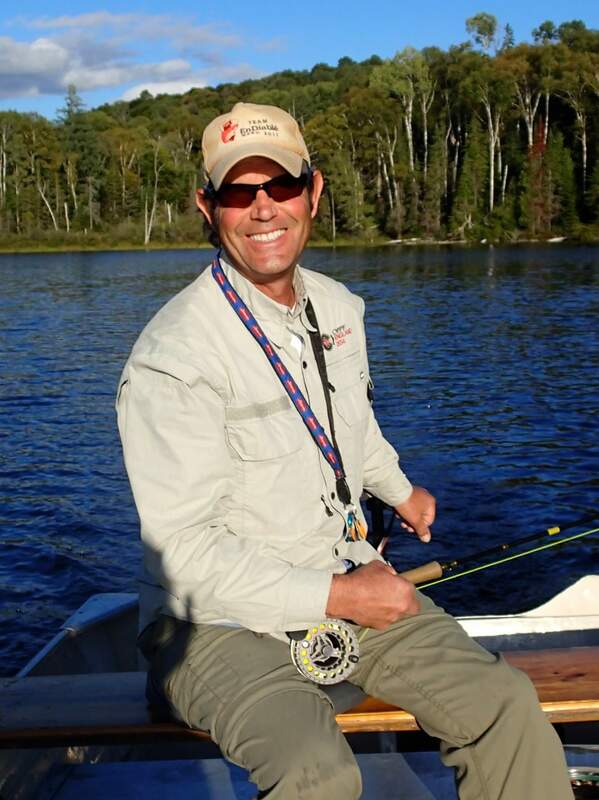 He has been the acting president of Fly Fishing Canada since 2013. 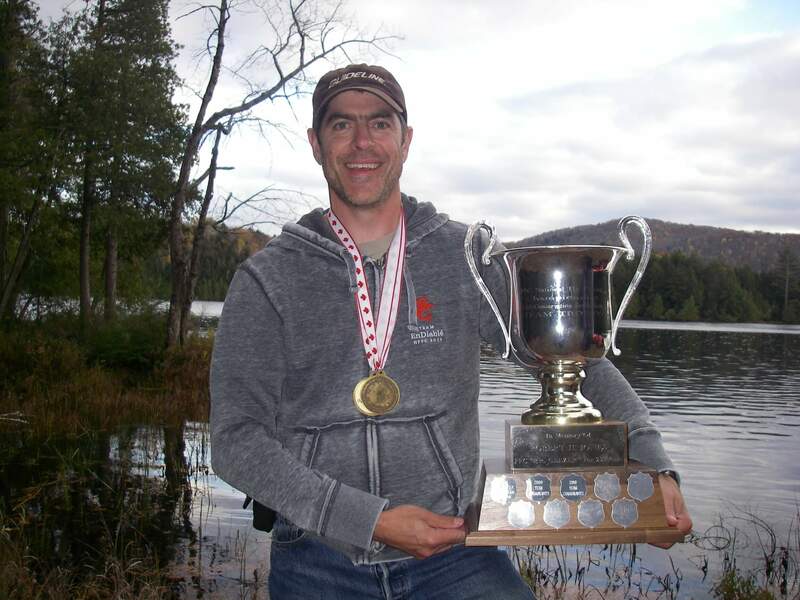 He has organized 4 National and 8 Provincial Championships and Captained silver (2013/15) and gold medal (2014) Teams at the Canadian National Fly Fishing Championships. He participated at the CWFFC in Devon in 2014. When not chasing trout somewhere in Canada can be found in the Caribbean casting in the salt. As a member of the organizing committee and International host for this year’s Commonwealth Championships Jim is excited to welcome participants to his home town and promises them a memorable experience. Background: Past and present Internationalist over 20 years. Fished in 3 previous Commonwealth Competitions. 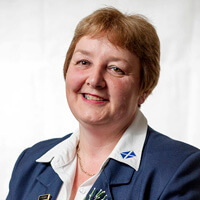 Background: Scottish Ladies representative and medalist at previous Ladies International Championships. First time in Commonwealth. Background: Only been fishing for 8 years, but has already achieved Gold Medal in Ladies International Team. First time in Commonwealth. Background: Past and present Internationalist and medalist over 25 years. Fished in all Commonwealth Competitions since 2004. 50 years Old Retired Fire Officer, married with two girls. 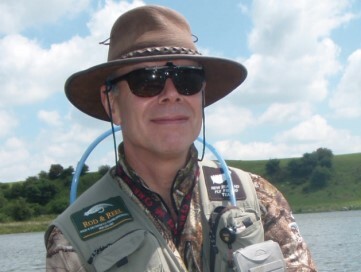 I have been fly fishing for over 35 years and competition fishing for the last 15. My first Commonwealth experience was in Wales 2002 and this visit to Canada will be my 7th championships. I started fly fishing and fly tying at the age of 12, although I’m fairly new to competitions. 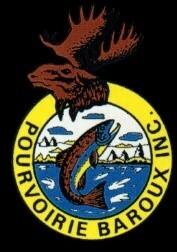 I’m looking forward to the challenge of fishing the Commonwealth Fly Fishing Championships in Mont-Tremblant. I’m 41yrs old and work in an emergency control room. I am 40 years old and I have been fly fishing for 17 years, this will be my 4th Time representing the Isle of Man in the Commonwealth. It is a great competition and I can’t wait to sample the fishing in Canada . Age 52, Creative executive for a global plc. Started fishing at the age of 7 and entered first uk team competition in 1995. I have previously competed in 3 commonwealths, leading the overall individual in Scotland after day one. Looking forward to visiting Canada and taking part in this years event. 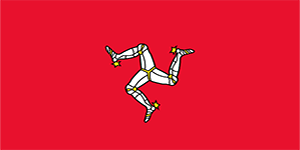 This will be my Third Commonwealths representing the Isle of Man having competed previously in Islay and Tasmania. I enjoy all types of fishing and working as part of a team. I am looking forward to visiting Canada and enjoying the spectacular fishing and scenery its renowned for. 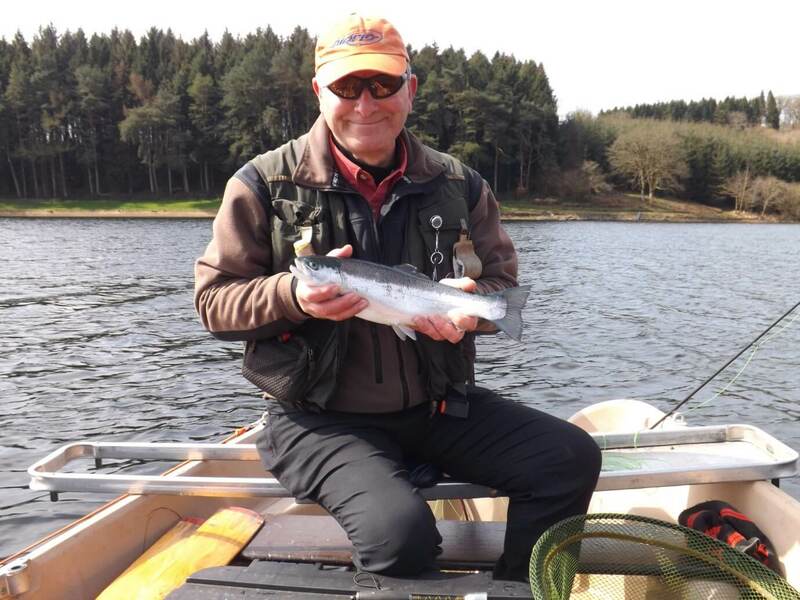 Alan R McDade has been fishing since he was a young boy but only took up fly fishing approximately 20 years ago initially as a hobby and then started competitive fly fishing in 2010. Alan has fished at club level competitions, represented Ulster against the three other Irish provinces and in 2014 Alan won the Ulster Lough style championship on Lough Anure, Co Donegal. 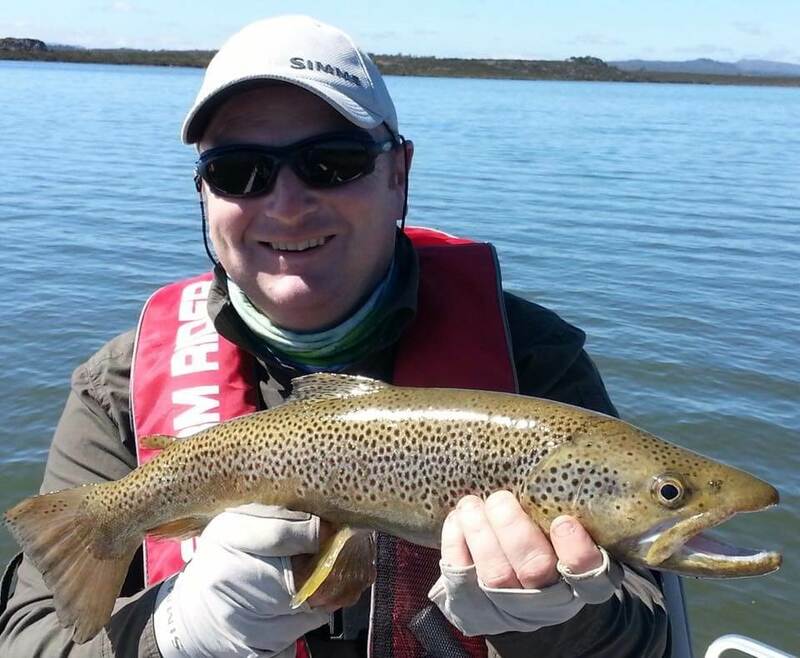 Tasmania in 2012 saw Alan as the first Team Captain/Manager of the Northern Ireland Commonwealth Fly Fishing Team entering this competition for the first time. The team achieving a creditable third place (Bronze) and Individual runner up (Campbell Baird, Silver) in their first entry into the Commonwealth Championships. This was repeated again in 2014 in South West England with the Northern Ireland team again achieving third place (Bronze) and Individual runner up (Kenneth Ferguson, Silver). 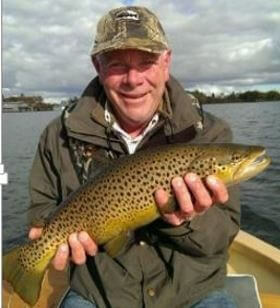 He enjoys the challenge of just fishing in the open air and being at one with nature and its surroundings which allows him to learn new fishing techniques and develop his own fly fishing skills. A professional engineer, he currently works as a Senior Manager in Tax with the accountancy firm Deloitte LLP in Belfast, Northern Ireland. Alan lives in Newtownabbey with his wife Christine; they have two grown up daughters, one recently married and a married son who is also a fly fisherman and his first grandson who will be taking up the sport in due course! Campbell Baird has been fly fishing from the age of six and entered his first competition at the age of eleven. He is passionate about the sport and loves the excitement of competing under pressure. 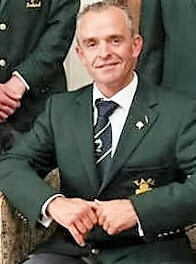 Campbell has represented Ireland at International, European and World level and captained Ulster at the all-Ireland finals five times leading to him being appointed captain of the Ireland International team twice. Two-time Ulster still water champion. All Ireland Lough style champion. Three times all Ireland still water champion. Eight times Lexus European finalist. Lexus international team champion with team Woodford Greys, Ireland. Lexus international individual runner up. Two times UK Trout masters champion and twice runner up. 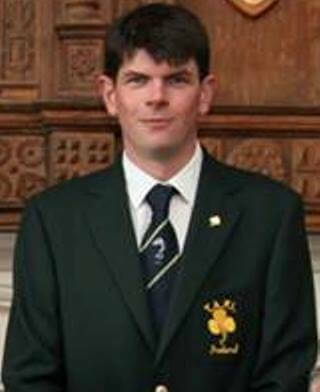 Captained the Irish Stillwater team to silver medal in 2010. Captained the Irish Stillwater team to silver medal in 2011. Team bronze medal winner at 2012 Commonwealth championships in Tasmania. Individual Silver medal winner at 2012 Commonwealth championships in Tasmania. Captained Irish junior team to silver medal at 2013 world championships. Best overseas team in the Anglian Water Fulling Mill International Final with team Woodford Greys, Ireland. Five times Woodford winter league champion. Six times Lexus Irish heat winner. 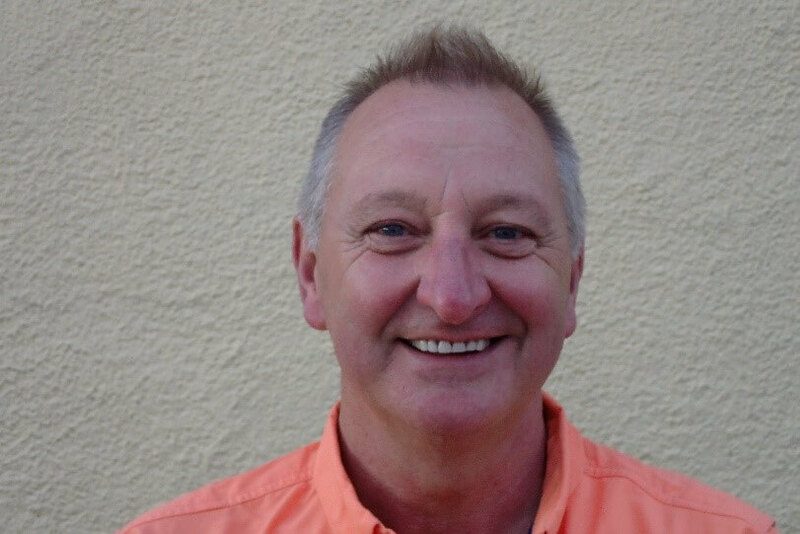 Campbell is a regular contributor to ‘Trout Fisherman’ and ‘Irish Angler’ magazines which between them have a circulation of approximately sixty thousand copies distributed worldwide each month. 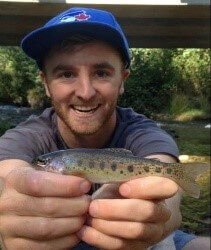 Campbell is also the National Youth Officer for the Trout Anglers Federation of Ireland (T.A.F.I.) with a remit to promote and develop angling in Ireland for boys and girls between the ages of 12 – 18. It is a busy job which takes him to all counties, North and South of Ireland. 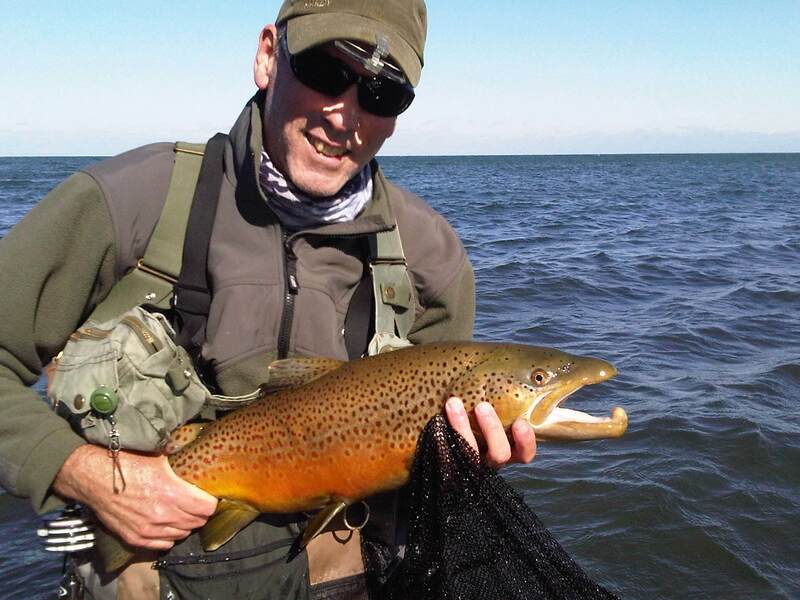 Melville (Mel) Campbell qualified for the TAFI Northern Ireland Commonwealth Team in picturesque surroundings of Lough Corrib, Co Galway, by being lucky enough to catch the Largest fish of the competition, a fin perfect 56cm Brown Trout. 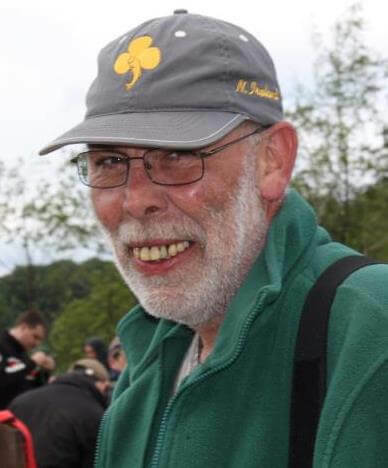 He was an enthusiastic coarse angler in his earlier years, however changed to fly fishing approximately 15 years ago enjoying the test of both river and lake competition fishing as well as enjoying some recreational angling. 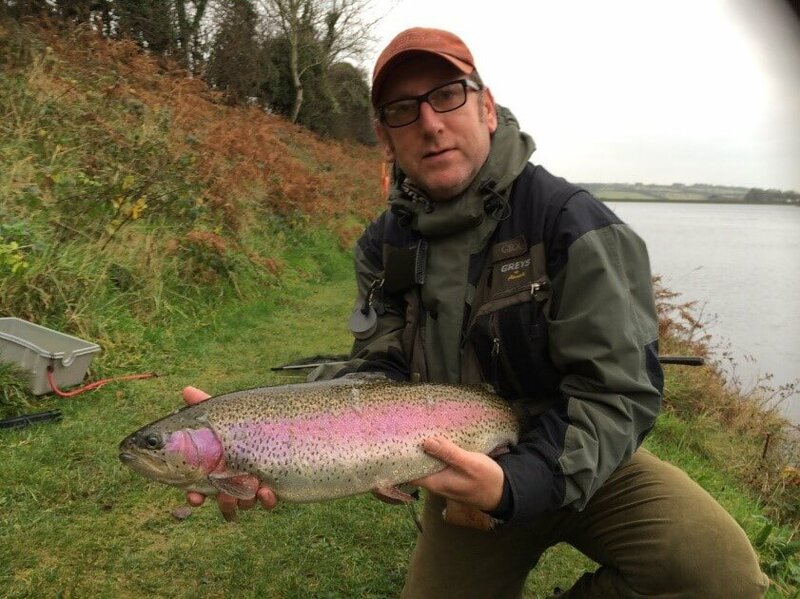 Mel is 47 years old and in recent years has represented Ulster and was part of the winning Straid Fly Fishing Club team which competed at the Ulster Fly Fishing Championship on Lough Melvin 2015. 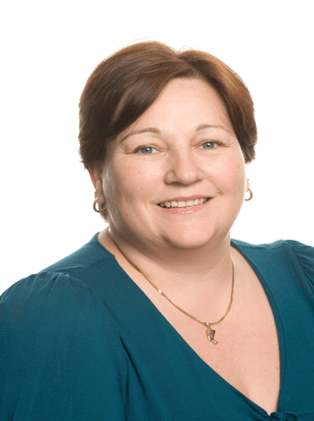 Time to participate in all these activities is difficult to find as Mel is the Managing Director of a busy Health and Safety Company specialising in children’s playgrounds. Mel enjoys bird watching (feathered type) and walking his Springer and Cocker Spaniels along the local rivers and lakes in his hometown of Lisburn, Co Antrim. Kenny Ferguson has been fly fishing since he was a young boy, being heavily influenced by his father to take up the sport. 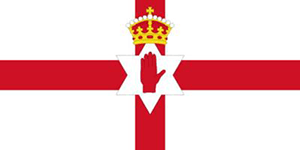 Since then Kenny has enjoyed notable success and represented Ulster and Ireland at all levels of the sport which has taken him to England and to Tasmania. Five times Lexus European finalist. Anglian Water overseas prize winner. 2010 Ulster still water champion. Runner up in the Ireland rivers competition. Ulster Lakes Championship runner up. Twice Ulster Lakes Team member. Twice Ulster Rivers Team member. 2012 Commonwealth Team Bronze medal winner, Tasmania. 2014 Commonwealth Team Bronze medal winner and Individual Silver medal winner, England. 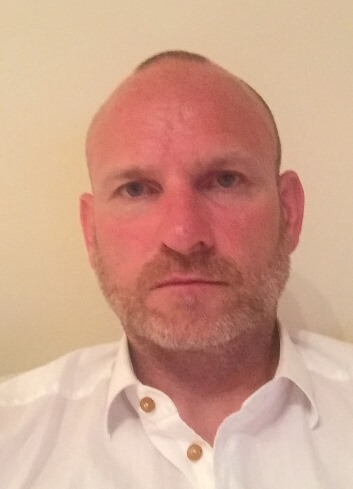 Kenny is 38 years of age and works as Plumbing and Heating engineer in Belfast; he lives with his 3 children in Newtownabbey, Co Antrim, Northern Ireland. Harvey is 59 and lives in Carrickfergus, Co Antrim, Northern Ireland. He is married to Donna his long suffering wife and his hunting dogs. He started fly fishing late in life at the ripe old age of 30 although he had been sea fishing with his father since he was a boy. 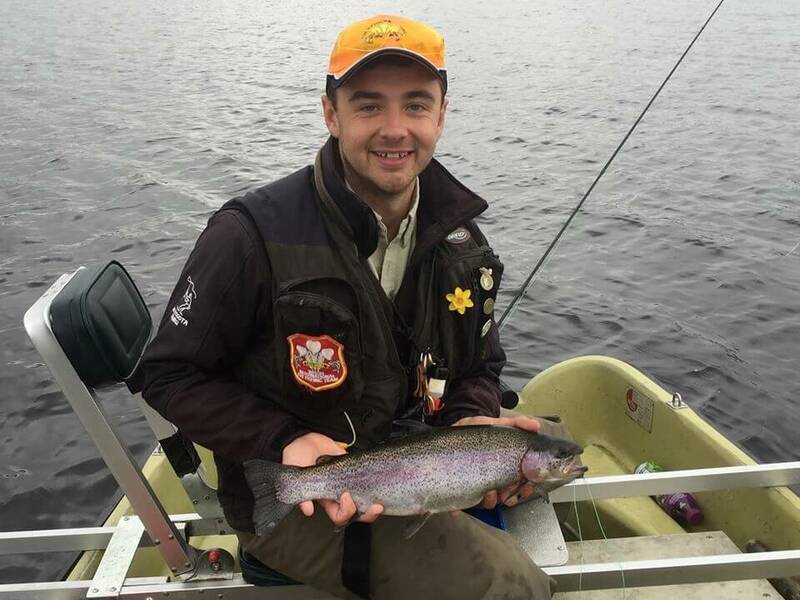 He has represented Northern Ireland at the 2012 Commonwealths Fly Fishing Championship in Tasmania, helping win the team Bronze medal, and he also represented Ireland at the 2015 Five-Nations championships in Croatia. Harvey also volunteered to help at the 2014 World Youth Fly Fishing Championships which was held in Ireland and since then has continued to help coach and develop the Ulster Province youth team. Harvey is a Chief Engineer on cross channel fast ferries for Stena, a Swedish ferry company sailing on the Irish Sea routes to Scotland and England. Dominic McAtamney has been fishing since he was a 12-year-old boy and has always fly fished from the beginning. 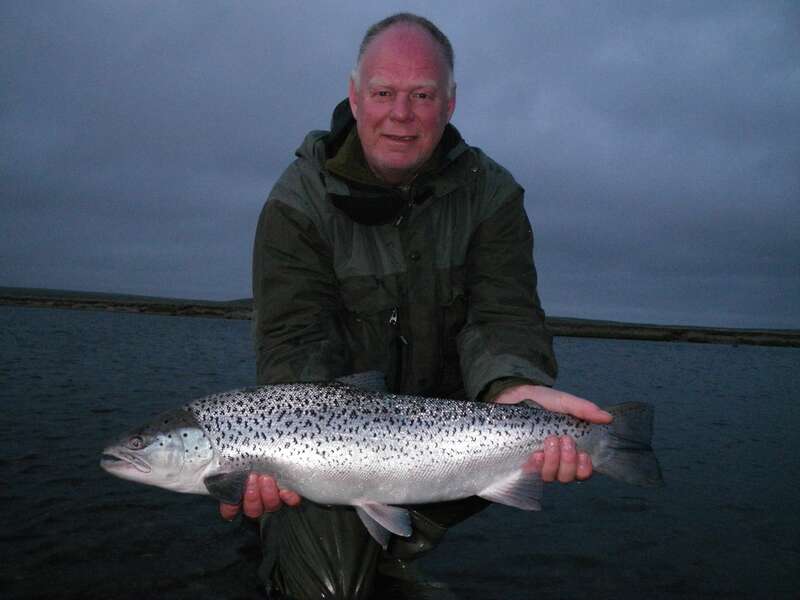 He grew up fishing the Lower stretches of the River Bann, famous for its salmon and big trout. 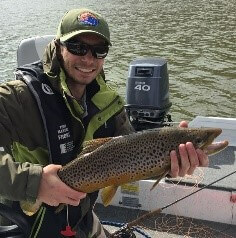 Dominic didn’t have much opportunity to fish while working abroad in his early and mid-twenties, but returned to the sport on his return home to Northern Ireland 4 years ago. 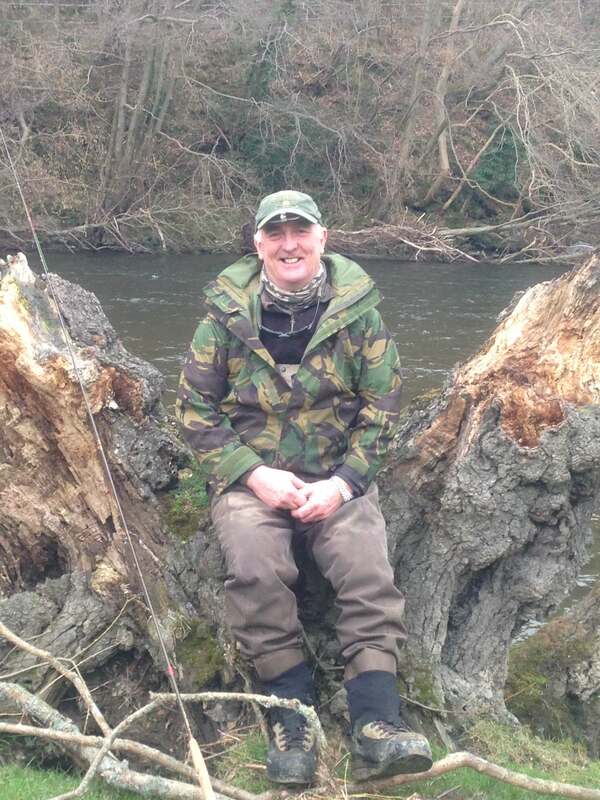 Since then he has taken to it seriously and his introduction to competition fly fishing has brought him some notable success having qualified to represent Ulster 3 times in the Irish Inter-Provincial level; twice in the rivers competition and once on the lakes he was top in his qualifying heats. 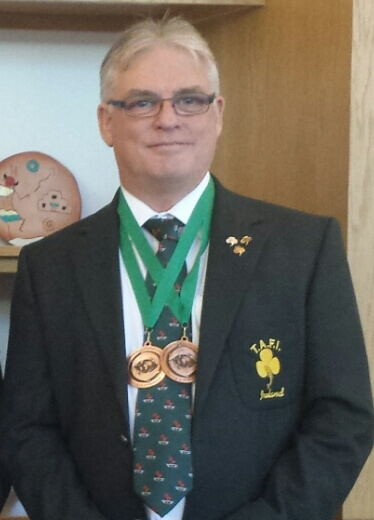 He was part of the2014 Northern Ireland Commonwealth Fly Fishing Team achieving the Team Bronze Medal. Dominic is now looking forward to his second Commonwealth Championship and hoping to improve on his Bronze placing. After only 4 years of fly fishing I have taken up competitive fishing seriously, Based in Australia, I joined the Maltese team (of one) to make 2. Married to Marty, our unofficial team Captain, we have 3 adult children and 2 grandsons (the start of a bigger Maltese Team). When I was about 13 years of age, I scraped together enough pocket money to buy my first fly fishing outfit. At the age of 18, I joined the Sunshine Fly Casting Club of which I am still an active member. Within the club over the last few years, I have run a community well-being program to teach and promote fly fishing. Since commencing competition angling in 1999, I have found that my skills have improved considerably. There is also great comradery amongst competition anglers. 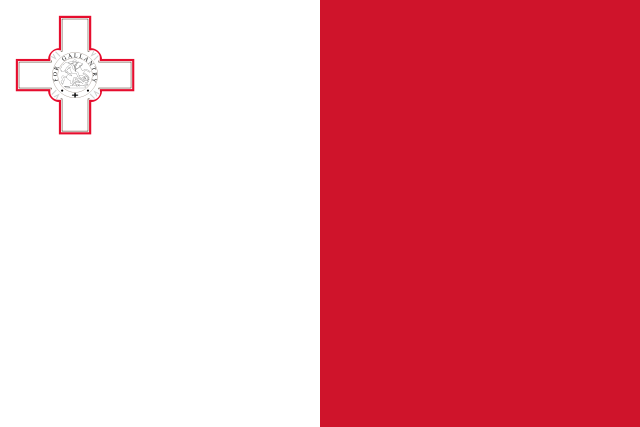 I have represented Malta at an international level WFFC since 2008 in New Zealand and this is my second Commonwealth championships. Marty and I are looking forward to meeting old acquaintances and making new friends. 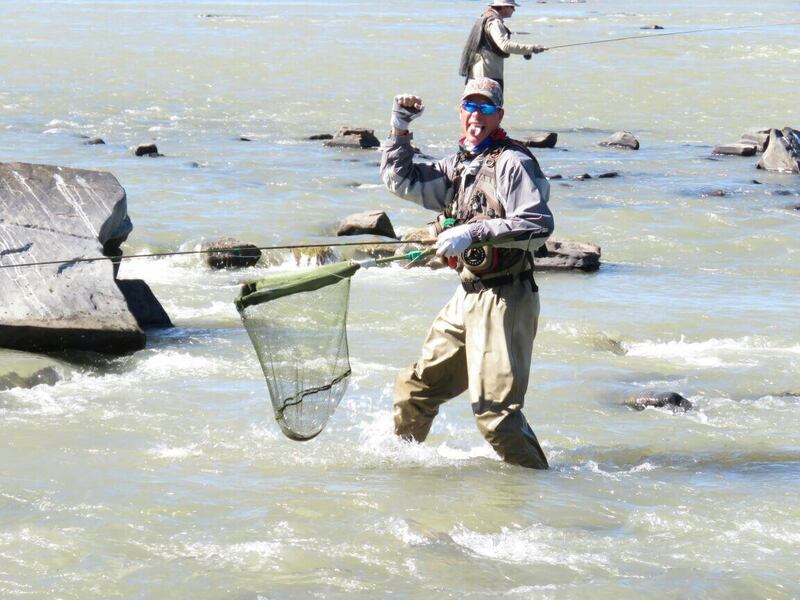 Fishing the Commonwealth Fly Fishing Championships in Canada is a dream-come-true. Meeting wonderful people, enjoying breathtaking scenery and experiencing outstanding fishing in Canada will be a great experience. 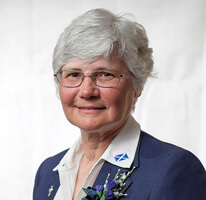 Especially Marty as her grandmother was from Newfoundland. Finally, we thank the Canadians for inviting us to attend and also thank the team of organisers, controllers, sector judges and sponsors for their efforts in hosting what will be a memorable event. I started flyfishing in 1970 when I returned to NZ after travelling around the world for 8 1/2 years. I had always been interested in fishing but never had the opportunity to really take it up as sport. I first entered competitions in late 1990s. My first attempt was a complete disaster finishing last! But I kept at it and practised at every opportunity, continuing to enter more competitions until I eventually made the NZ team in 2005. I have been a regular member of the Silver Flies team since then, competing in World, Commonwealth and Oceania international competitions. I was selected as captain on three of those occasions. I have won team gold and bronze medals and a silver individual medal in Wales. I’m looking forward to leading the NZ team as captain for the Commonwealth Championships in Mt Tremblant, Quebec. We hope to do well amongst 16 other competing nations. I am retired from the building trade and now I’m enjoying my semi-retirement keeping busy doing rod custom-design work and repairs and trout flyfishing guiding under the name Troutscout. Paul grew up in South Canterbury with a small trout stream at the back door. 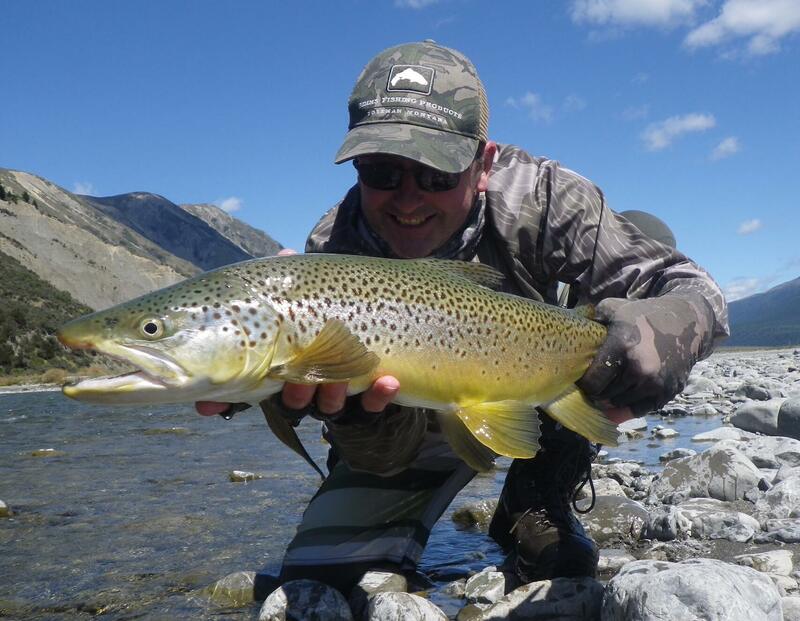 Together with fishing the stream with a light spinning rod, salmon fishing on the Rangitata River, and family holidays at Lake Ohau, trout fishing was always part of family life. His father, uncles and grandfather were all fly fishermen. Paul has been a regular at the SFFNZ National Championships since 2003. 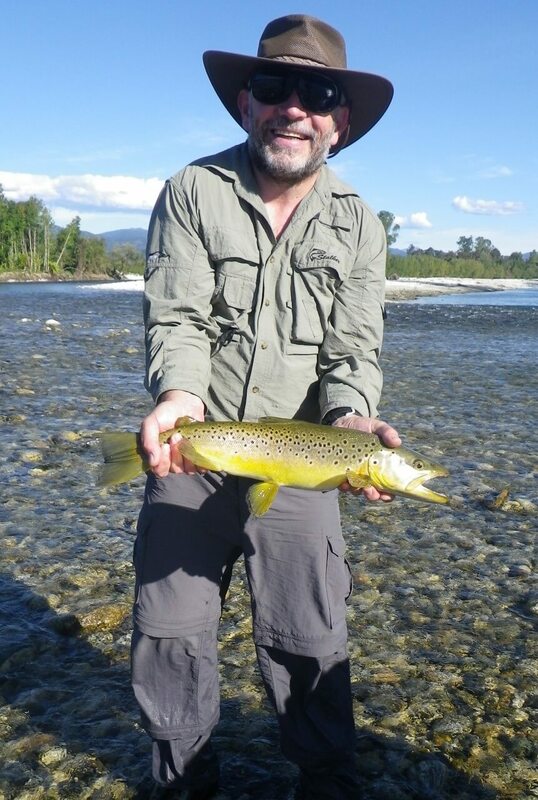 He first made the New Zealand Fly Fishing Team in 2007, fishing in the Commonwealth Championships on the Tukituki River in Hawkes Bay, New Zealand in 2008. Since then he has been a regular in the team, fishing in the Oceania competitions in 2009, 2011, 2013, and 2015, the Commonwealth Championships in 2010 and 2012 and the World Championships in the Czech Republic in 2014. He placed third individual at the Oceania competition in Ballarat in 2015. Paul has been a member of the Wellington Fly Fishers Club for over twenty five years and member of the committee for much of that time, including two years as Club President. He was also on the Executive Committee of the New Zealand Federation of Freshwater Anglers from 1991 through to 1996. 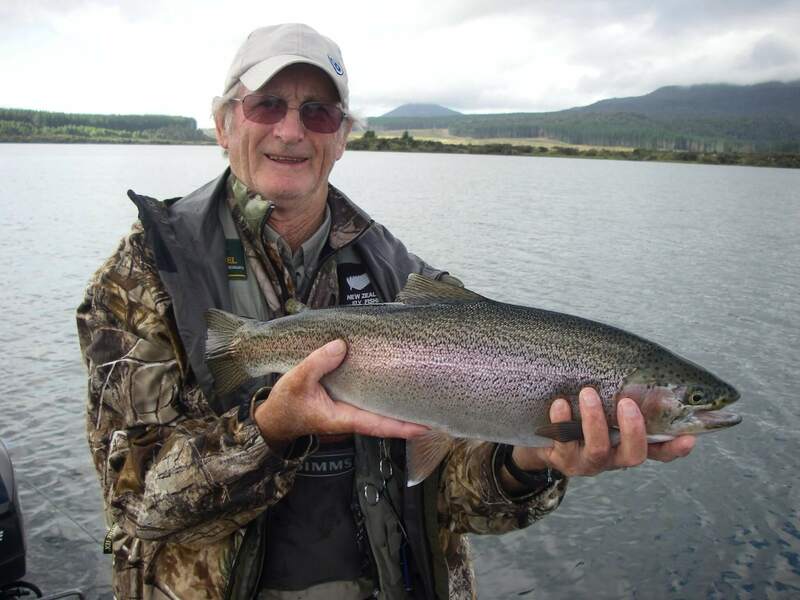 He has organised the Wellington Regional Fly Fishing competition since 2004. His wife, Judy, is a competent fisher and his two daughters, Megan and Rachel, have the occasional fish when on holiday at the family’s second home in Turangi. In addition to his fishing, Paul supports Rachel at many of the multi-sport events that she participates in. 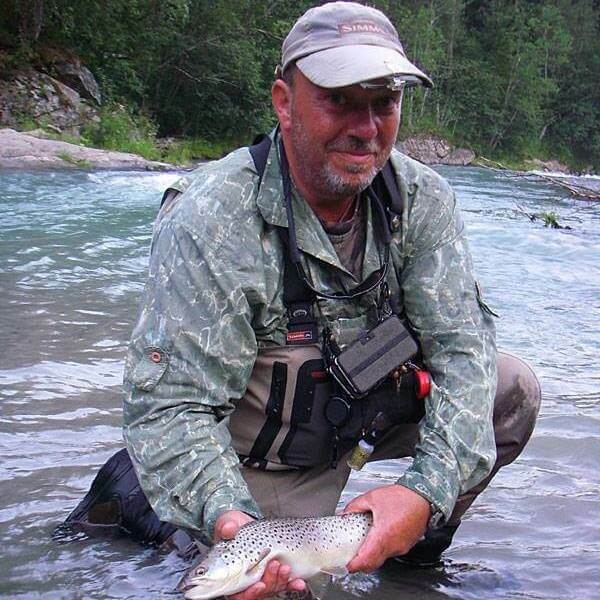 Mark started competitive fly fishing in 2008 after attending a NZ team clinic fund raiser to try and learn the dark art of Czech nymphing. Never thought he give up chasing the trophy trout and marlin he previously went after but in the end the new challenge of competition fly fishing won out. Its really the “bottomless pit” of fly fishing that is the lure as we are on an endless quest for improvement. Mixing with anglers interested in experimenting and learning new methods and techniques is stimulating and the reason why he still competes. -Individual Gold Medal winner Oceania 2013 .Gold medal NZ Lake Championship 2016 .3rd overall NZ champs 2016. 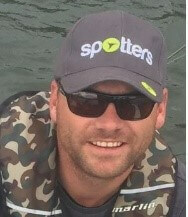 Mark works as a veterinarian in Auckland .Proud Dad to Melinda ,Tayla and Britney and endless thanks to wife Debbie whose support enables him to do competition fly fishing. At a very young age John was put in a backpack with father Paul and together they would venture down to the rivers around the Manawatu Region. At the age of four he started fly fishing and caught his first trout on fly on his own. Ever since John has been hooked. Regular ventures to rivers like the Manawatu and Rangatikei were the first places that John was able to hone his skills. John’s father was learning the art of flyfishing while passing on the passion to John, both learning together. When Des Armstrong ran a short line nymphing course back in 2010, John and father Paul got hooked on this technique and pursued competitions since. John entered his first competition at 12 years of age held on the Manawatu River. 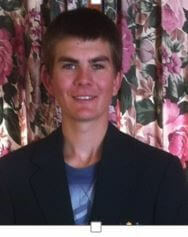 Each year John has competed in increasingly more competitions around the north island, alongside his father. Slowly but surely John’s techniques and tactics on both lakes and rivers started to improve, qualifying for the 2013 and 2014 national championships and the 2015, 2016 National Rivers Championships. Notable results including fourth in the 2015 River championships,and third place in 2016 national rivers championship. 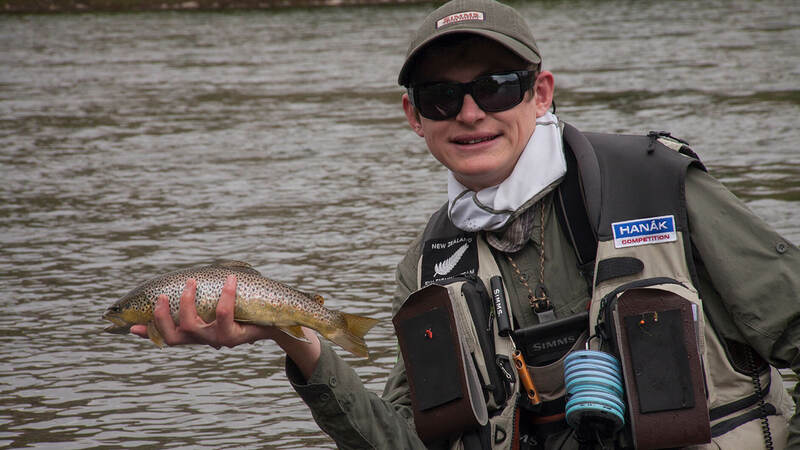 Alongside teammate Geoffrey Bernston and and father Paul is the team manager, John competed in the 2015 youth world flyfishing championships in Vail Colorado where he placed 31st, a dream for John for the last 8 years. When not training or competition fishing, Johns heart is in the backcountry, where he loves spending time tramping, hunting or fishing, and meeting the incredible people along the way. On completing his five years of high school at Palmerston North Boys High School, he now works full time at Manawatu Hunting and Fishing. John believes that without support from family friends, he would not have reached his potential. He says he owes a huge amount to his father Paul who has invested so much for John to be where is today with his fly fishing pursuits. Johannes first held a fly rod in his hands in 1981. Ever since he has difficulties letting go of one once it is in his hand. Johannes came to New Zealand 34 years ago from Germany. There he started fishing with coarse fishing as a child for white fish and worked his way trough all the disciplines of fresh water fishing to arrive at fly fishing. 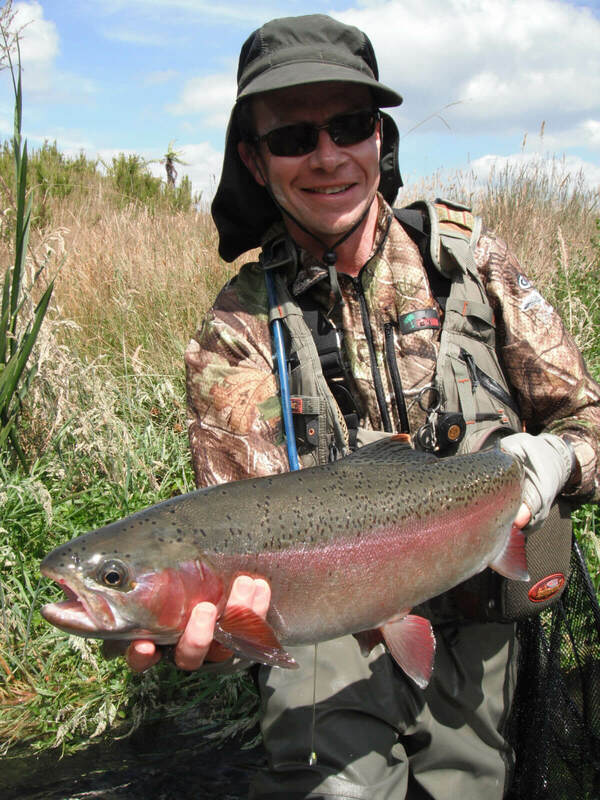 Emigrating to NZ fueled the desire to fly fish even further with the opportunities abound. 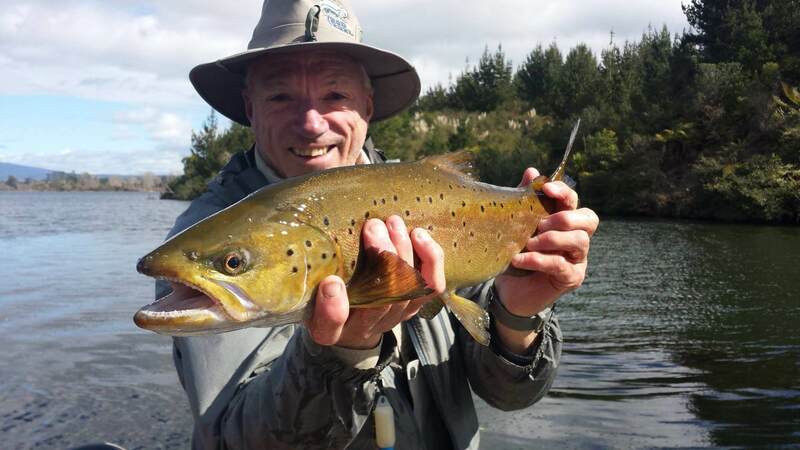 Pleasure fishing New Zealand rivers and lakes, mainly the central North Island, became his passion for more than 2 decades. In 2005 he expanded his fly fishing activities into the salt water. Since then he has fly fished many rivers, lakes and flats in New Zealand, Australia, South and Central America, Europe and Russia. His interest in competition fishing was first spawned as a controller in the 2008 World Championship held in NZ. He fished his first competition in 2010 and today most of his fishing activities are competition fishing related. I’m a fishing enthusiast and qualified for my first Nationals in 1997. I was lucky enough to qualify for my first Worlds, held in Poland 1998. I have fished 5 world champs , 3 commonwealths and 4 Oceania’s. Poland in 2010 was my favourite world’s, It is a great country with great people and the San river is a fantastic venue. I was the venue organizer for the 2008 World Champs which was a great competition with good beats and lots of fish for everyone. Work: For the past 10 years I have been an owner of Rod & Reel; a tackle store in Newmarket, Auckland. After selling the store 2 years ago I remain working in the store, specialising in fly fishing and teaching anyone keen to learn. I am the proud father of Daniel and Ryan and living with the catch of my life; Lynley Scott. I started fishing in the 60s and have been fortunate to fish all over the UK. Ireland, Australia and Canada. I have gained 2 Welsh Caps, the first one in 1998. This will be my 5th Commonwealth Championships and I’m looking forward to meeting up with old friends and making new ones. Canada will be my 2nd Commonwealth Championships after gaining my first cap in Tasmania in 2012. I’m a self confessed “fishaholic” and am equally at home drifting along the shores of reservoirs casting at rising trout as I am standing in freezing cold rivers fishing for grayling in the depths of the Welsh winters. I’m an active club member of my beloved Llanidloes and District Angling Association and am constantly looking to introduce new people, young or old, into competitive fly fishing. The Commonwealth Championships is dear to my heart and I will never forget the welcome and camaraderie I felt in Australia. I’ve since made the pilgrimage back to Tasmania to meet up with people who I now regard as close friends. This was only possible due to this fantastic championship. I look forward to meeting old and new friends during my time in Canada and wish everyone involved with the Championships the best of luck. I’m sure Canada will do us proud. Brought up fishing on the river Dwyfor in North Wales by my Grandfather Emrys from the age of 3. Targeting wild Brown trout, Sea trout and Atlantic salmon is, by now, embedded in my DNA. Fishing for me has gone beyond being a hobby; it is my life and one true passion from small streams to the largest reservoirs. 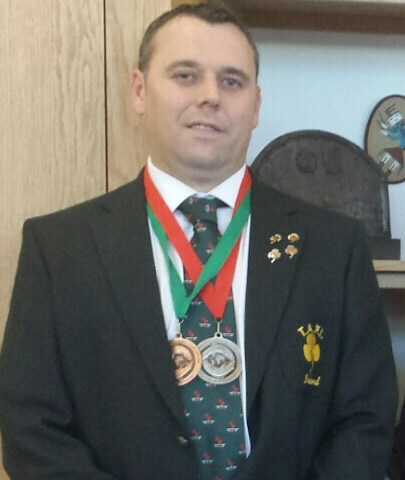 I got into the competitive side of angling seriously 5 years ago, earning 2 Welsh International caps in the process representing my country on Llyn Brenig in 2014 and Rutland water in 2015. This will be my 3rd cap, 1st Commonwealth cap, and the one I’ve been most excited about since trialing for it 2 years ago. 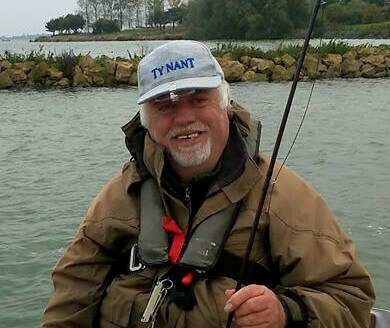 I have been an active member of the Dwyfor Angling Association committee for a number of years and I’m now the marketing manager and junior secretary and am continuously trying to promote angling to everyone young and old through the association. I’m looking forward to the camaraderie that comes with competing in this amazing competition and the challenges that come along with it. Canada has been very much on my bucket list and by taking part in this Championship, what was once a dream can now become reality. I wish all participants the best of luck and may the best team win. Canada will be my first Commonwealth Championships, although I have represented Wales competing in the Senior Home Internationals. I am part of a successful team back home and I am very proud to have been elected their team Captain this year. Looking forward to Canada not just the fishing but meeting other anglers. Started fishing at the age of eight with my dad, uncle and great uncle with running worm for brown trout on a local stream. Caught my first salmon when I was thirteen years old. Joined Carmarthen Amateur Angling Association when I was sixteen and had the honour of being made a life member last year. Have been fortunate to have represented Wales on two Commonwealth Scotland ( Fitty and Isla ) and Commonwealth England 2014, also the Home Autumn Loch Style International Wales 2012. I was privileged to be the Chairman / Organiser of Commonwealth Fly Fishing Championship 2010 – Wales. Its safe to say the Commonwealth Fly Fishing Championship is close to my heart and I try my best to give back to the sport what I have been fortunate to receive out of it along with the friendship made with anglers all over the world. I cannot remember a time when I did not fish. I was born in Knighton, Powys in 1952. Learnt to fly fish in the river Teme which is on the border of England and Wales. 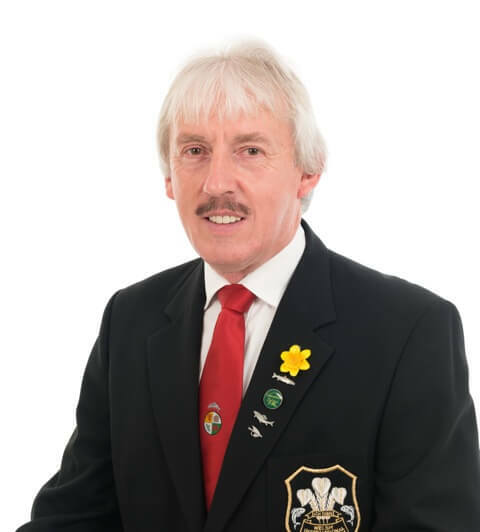 I started competition fishing in the 1980s when I join the Rhyader and Elan Valley AA and have now been a committee member over 30 years. Won the Welsh Bank Championship 1992 and was a member of the Welsh Team that won the European championship in Ireland in 1997. 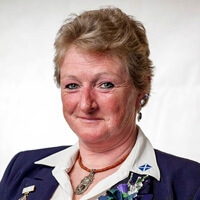 Fished the commonwealth in Islay Scotland 2009 and in Devon 2014 was head controller in the Elan Valley 2010. I look forward to competing in Canada 2016. 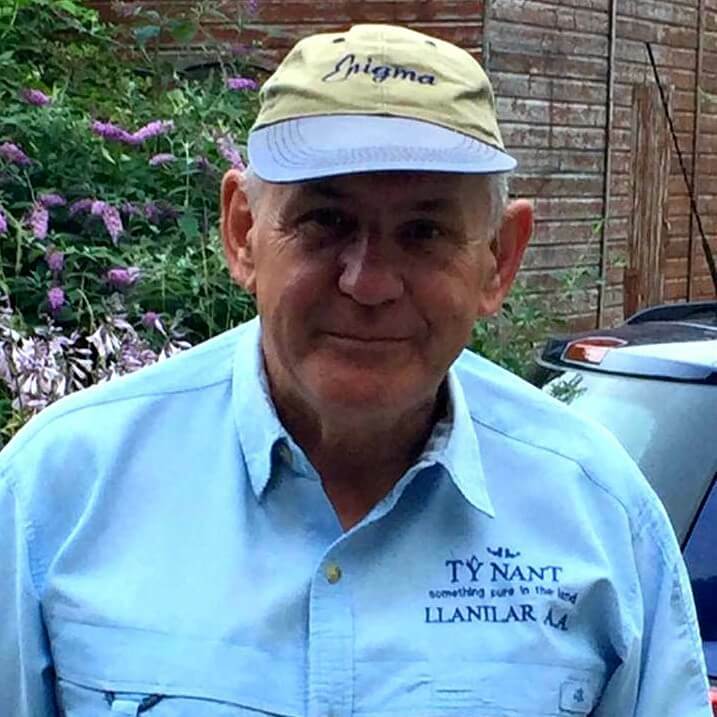 I am one of those passionate fly fishers who’s been fortunate to gain nine ‘Welsh Caps’ and represented Wales at both National and Commonwealth Championships. Unfortunately as the present Secretary of WSTAA, (The governing body of game angling in Wales) 90% of my time is taken up with the mountainous work and responsibilities associated thereto and thus drastically limiting my available fishing time. This will be my fifth attendance at the Commonwealth and on this occation, for all my sins, as a Non Fishing Manager for the Welsh Team. 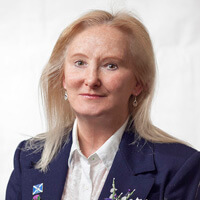 By stepping aside as a competitor I hope that those new members will, like me, also savour all the joy, comrade and friendship that is unique to the Commonwealth. I on the other hand am now looking forward to meeting old friends, sit back, relax, and after soaking up and recharging my batteries on Canadian Hospitality I’ll make new friends and enjoy some unique pleasure fishing without the self imposed pressure of having to catch fish. Best of luck to everybody taking part and I hope that the competitive edge associated with competitions does not impair on your ability to fully enjoy and appreciate the aura and friendship that can only be found in the Commonwealth Championships. Tight Lines to Everybody.